Japanese game developer Goichi Suda, or Suda51 as he's known to fans, is the man behind Grasshopper Manufacture and its upcoming game Killer is Dead. He enjoys the reputation as one of Japan's hottest "wild" creative minds these days, but despite how far his influence spreads, he still has nothing on Akira director Katsuhiro Otomo. 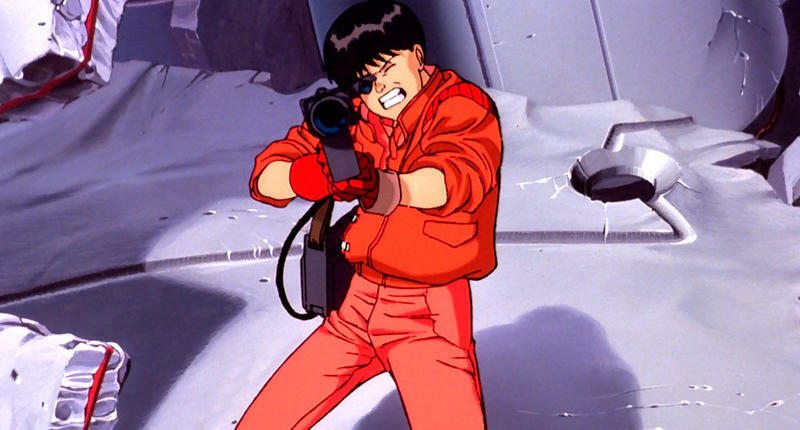 One of the most widely popular anime films in history, Akira spawned an entire generation of darkly themed Japanese cartoons which still carries over into today, although heavily watered down over the last twenty five years. So what happens when these two minds come together? You get an awkwardly titled PlayStation 3 side scrolling action game called Ranko Tsukigime's Longest Day. More than just a video game, this collaboration is actually considered to be part of Otomo's latest animated film, Short Peace. The film crams four short stories together in a single package, and this collaboration with Suda51 will stand in as the fifth in the series of short film. Suda51 will be writing the story and scenario, and Tokyo Jungle Yohei Kataoka director is helming the game for Namco Bandai. What influence Katsuhiro Otomo has over the project is not yet known, but its most likely just a supervisor role. Hopefully, Suda51 and Kataoka will be able to replicate his beautiful 2D visuals because when compared to the lifeless mass-manufactured anime seen in today's video games, Otomo's classic style is a breath of fresh air.